Wonderful new listing in Greenbrook Banks. Spacious 2-level home features Master Bedrm on main level + 3 Bedrooms + LOFT Upstairs. Bright, open floor plan with Large Dining Room + updated kitchen w/ granite countertops and solid wood cabinets. Newer Stainless Steel appliances w/ GAS COOKING. Breakfast area in kitchen + counter w/ stools. Large Family Room off kitchen w/slider to nice lanai which overlooks fully fenced back yard and pond! Space for future pool! King sized Master Bedrm on main level + Bathrm w/ two sinks, soaking tub and separate shower. Nice walk-in closet. Study/office, half bath and laundry rm. Large loft upstairs + 3 Bedrms and 2 Full Baths. Beautiful new carpet, tile floors and laminate in office. Plenty of space for everyone. A-Rated schools, Close to Stores, Restaurants, Post office. Easy commute. Don’t miss this beautiful home. 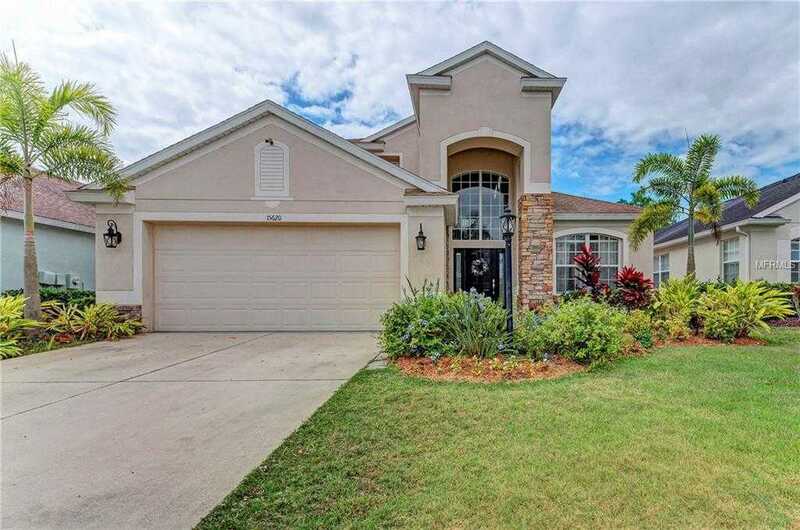 Please, send me more information on this property: MLS# A4433080 – $375,000 – 15620 Lemon Fish Dr, Lakewood Ranch, FL 34202. I would like to schedule a showing appointment for this property: MLS# A4433080 – $375,000 – 15620 Lemon Fish Dr, Lakewood Ranch, FL 34202.